Overlooking the Costa Dorada Beach, an ideal place for water sports, just 20 minutes from the airport and the bustling city of Puerto Plata. 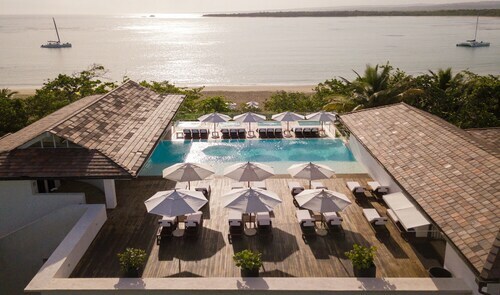 Located along Costa Dorada Beach on the Dominican Republic's Amber Coast, this resort faces a golden-sand beach and the waters of the Atlantic; it is 5 km (3 miles) from the town of Puerto Plata, 1 hour from Santiago de Los Caballeros, 10 minutes from Puerto Plata, and 30 minutes form the Gregorio Luperon International airport. Located in Puerto Plata, this beachfront property is next to a golf course and within 1 mi (2 km) of Playa Dorada Golf Club and Playa Dorada. Long Beach and Isabel De Torres National Park are also within 3 mi (5 km). 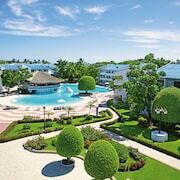 Nestled on the beach, this Puerto Plata hotel is within a 10-minute walk of Playa Dorada Golf Club and Playa Dorada. Long Beach and Isabel De Torres National Park are also within 3 mi (5 km). 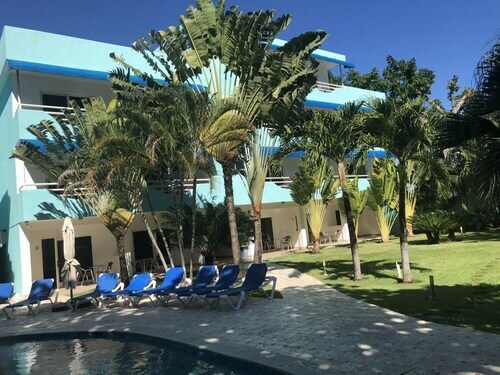 Located in Costambar, this beachfront aparthotel is next to a golf course and within 3 mi (5 km) of Puerto Plata Cable Car and Ocean World Adventure Park. Fort San Felipe and Pico Isabel de Torres are also within 9 mi (15 km). 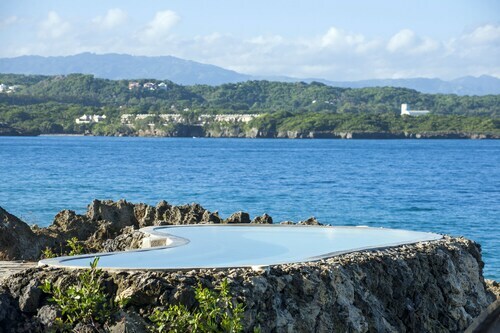 Located in the lively town of Sosua, this All-Inclusive Amhsa Marina Resort is built on a private reef with a caramel-sand beach, and shares pools, beach, spas, restaurants, and more with a partner resort. 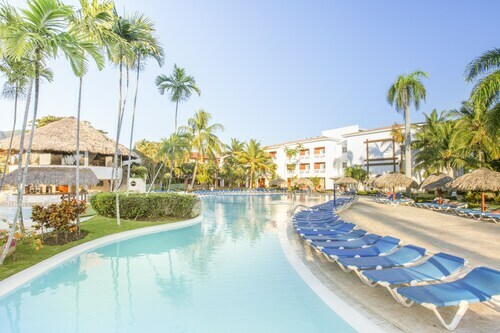 Popular with budget-minded European and American vacationers, this beachfront all-inclusive resort in Puerto Plata is on Cofresi Beach, 5 minutes from Ocean World Adventure Park and Marina. Located in Puerto Plata, this beachfront property is next to a golf course and within a 5-minute walk of Playa Dorada Golf Club and Playa Dorada. Long Beach and Isabel De Torres National Park are also within 3 mi (5 km). 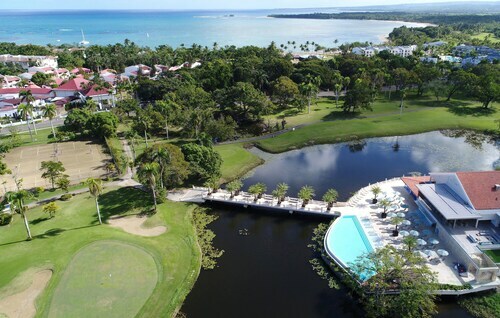 Located in Puerto Plata, this beachfront hotel is next to a golf course and within 1 mi (2 km) of Playa Dorada Golf Club and Playa Dorada. Long Beach and Isabel De Torres National Park are also within 3 mi (5 km). 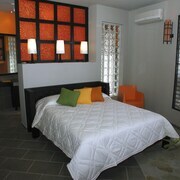 Nestled on the beach, this Cabarete condo resort is within 1 mi (2 km) of Kite Beach and Cabarete Beach. Encuentro Beach is 2.5 mi (4 km) away. 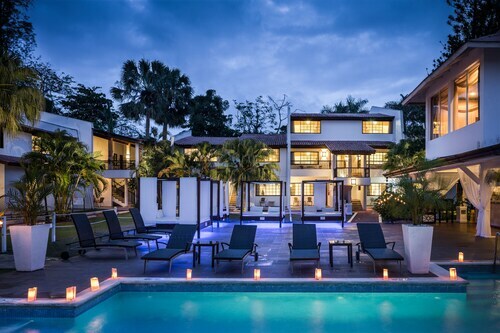 Located in Cabarete, this beachfront resort is in the entertainment district and within 1 mi (2 km) of Kite Beach and Cabarete Beach. Sosua Beach and Encuentro Beach are also within 9 mi (15 km). Offering direct access to the beach, this Sosua hotel is in the city center and within a 10-minute walk of Playa Alicia and Sosua Beach. Coral Reef Casino and Mundo King Art Museum are also within 1 mi (2 km). 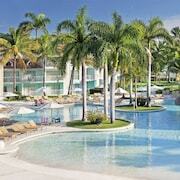 How Much is a Hotel Room in Puerto Plata? 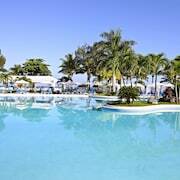 Hotels in Puerto Plata start at C$53 per night. Prices and availability subject to change. Additional terms may apply. 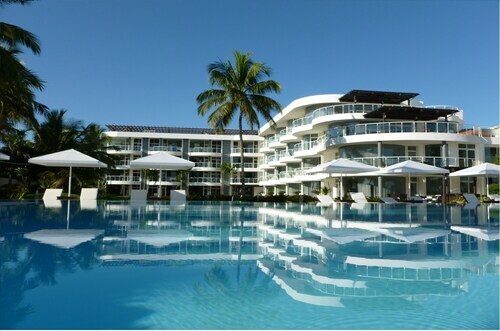 Puerto Plata is one of the best reasons to visit the Dominican Republic. This city is famous for its amazing beaches, top-notch resorts, and fabulous cultural opportunities. 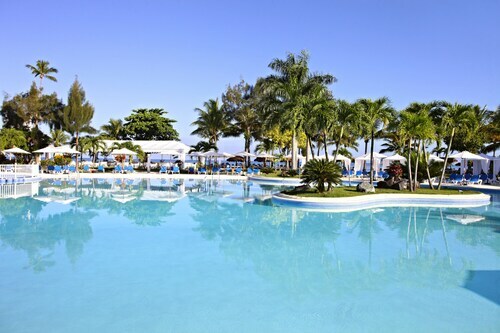 With a climate that offers plenty of sunshine and opportunities for fun all year long, hotels in Puerto Plata offer a slice of the good life. 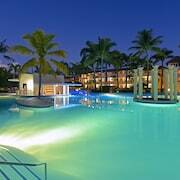 Book a hotel in Puerto Plata well in advance to get the most out of your vacation. 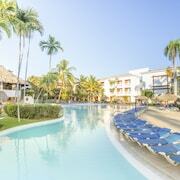 Vacation packages in Puerto Plata offer both adventure and relaxation. Start your day in Puerto Plata by taking a cable car up to the stunning Mount Isabel de Torres, which will give you panoramic views of Puerto Plata, the turquoise shoreline, and the jungle-covered mountainside. Once there, be sure to check out the massive Christ the Redeemer statue. Next, enjoy something truly unique about Puerto Plata: the Damajaqua Cascades, which features a whopping 27 waterfalls. The hike even includes chances to dive into crystal-clear water and slide down natural water slides. Your next stop should be Fort San Felipe, a colonial era fortress that much of Puerto Plata was built around. After all that, it's time to take a break on Playa Dorado beach, where you can unwind on the golden sands and soak up the sunshine. Puerto Plata isn't just about beautiful beaches and fun activities, but it's also about amazing cuisine. You'll love traditional Dominican dishes like guanimos, a special Dominican take on classic tamales, and Mangú, a mashed plantain that has roots tracing back to Africa. If you're looking for a great place to enjoy your food, simply walk down the Malecon, Puerto Plata's main waterfront road. 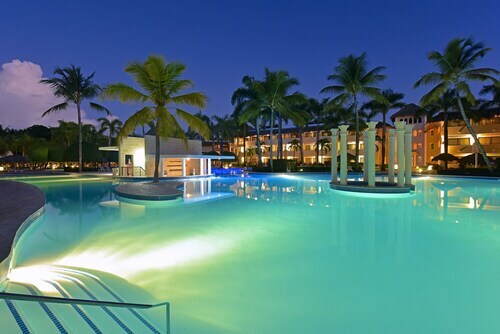 If you want to enjoy Puerto Plata hotels, let Travelocity help you book a flight to Puerto Plata and find the best deal on a hotel. Better yet, save up to $537 when you book a hotel and flight at the same time. 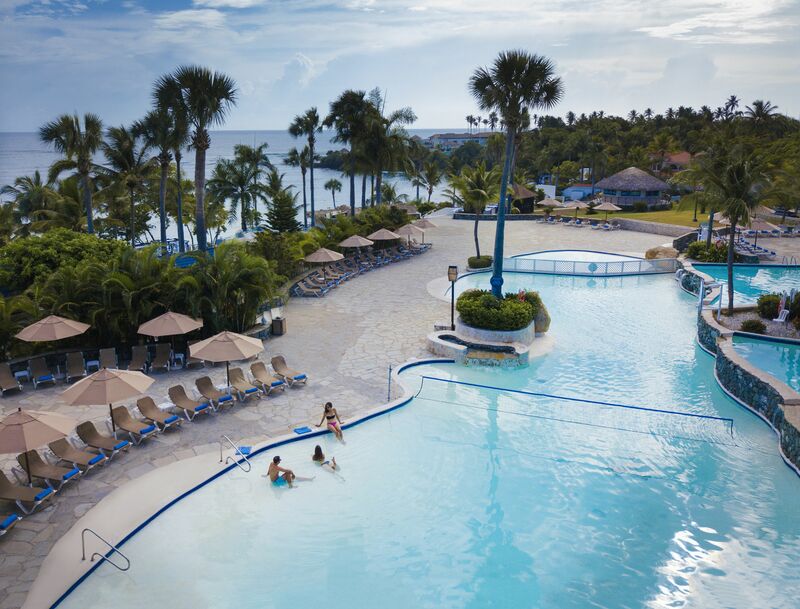 Travelocity is your best friend when it comes to finding the cheapest Puerto Plata hotel deals to deliver a great vacation experience. i had a terrific time and i am looking forward to returning asap. 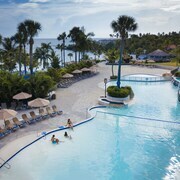 Staff is excellent, helpful, friendly, had a great time resort is beautiful! 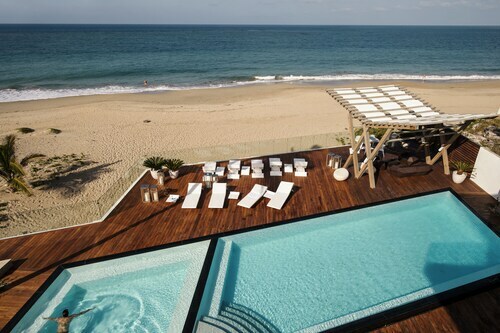 cleanness and comfortable accommodations, i will recommend this resort to all my friend. 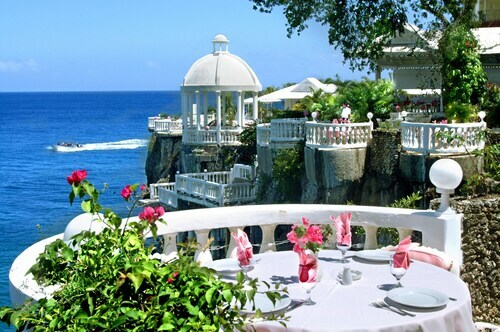 Very beautiful location, lovely staff and amazing food. Excellent service, friendly staff. Great overall.